It’s interesting to receive that first review that leaves you scratching your head. At first you wonder were they even reading the book you wrote. Then you sit back and analyze it a few times. Let’s take a look at it before I continue. I run a book review site. One of my policies is to review the book, not your expectations. That being said, I guess I can see where this reader might be surprised at what might occur at sea back during 1705. I researched. I did not waver from the truth of things, even though one particular subject might have been seen as over the top. Some who have read the review and read the book are quite surprised at the objections raised. Another part that some don’t understand is how to do the Star Ratings. If I had gone with that first sentence, I would expect one thing but I end up seeing another. That’s fine and all, but curious for someone who does do Book Reviews as an almost professional type thing. Is it for mature audiences? I’m not certain where the mature comes in regarding her perspective. I think her real concerns was this was not a fanciful pirate adventure. This wasn’t a pirate romance. This was a tale about a man and his crew with a mission to carry out and what they went through along the way. No, this book is an honest account of what men went through back in the day. There is even one scene broaching a subject rarely, if ever, discussed in a pirate tale. Pirates didn’t fit in with the normal populace. There were reasons for this back in 1705. I didn’t back off from that little scene. It fit, and it is what came out as I typed. If you want a book that “is well-written, the characters are complex and interesting“, then pick up Amber Wake: Gabriel Falling. You can get it at all your Amazons. Posted on May 25, 2016 May 25, 2016 by RonovanPosted in Amber Wake: Gabriel FallingTagged Adventure, Amazon, Book Expectations versus Reality, Book Ratings, Book Review, Historical Adventure, Pirates. 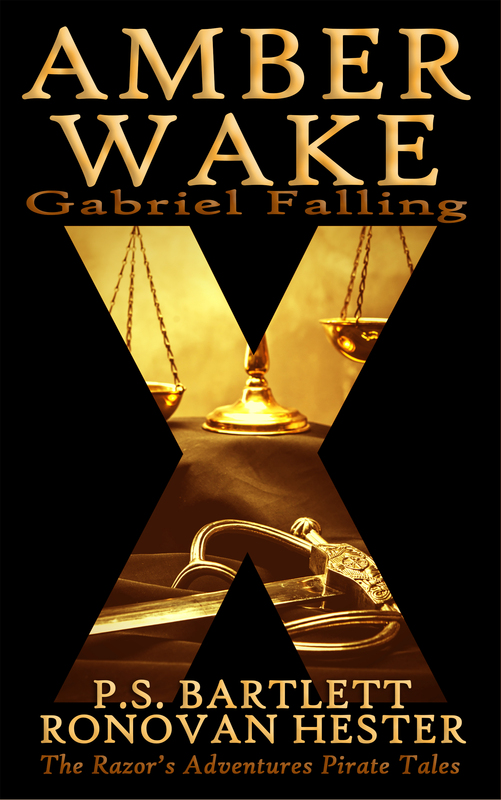 Next Next post: Amber Wake: Gabriel Falling is FREE beginning ToDay! The thing is, that with book reviews these days everyone can do a review. We do as readers at a time have certain expectations. If I pick up an Anne Rice I expect it to have supernatural elements. If I pick up a Paulo Coelho I expect it to be inspirational in some way. That said usually I don’t fault a book for not meeting my expectations. To each his own. Some people like certain things and others find them outrageous. We each are different. I think you need not worry. I think, the review will not harm your book in any way. As a reader I will usually check out the lower ratings reviews of a book. It is unrealistic to expect everyone to have liked something. This review would not have deterred me from reading the book. You and your co-author wrote an excellent book.